Samabe Bali Suites & Villas is honored to be announced as a nominee of the prestigious Awards for Excellence by Condé Nast Johansens 2016. This year, the Bali all inclusive resort joins Best View category. The traveling reference guide will select the winner based on the vote that is closing on 31 August 2015. 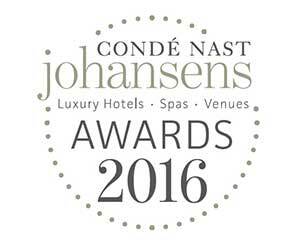 Awards of Excellence of Condé Nast Johansens aim at giving tribute to the luxury hotel, spa and venue for its contribution to the international travel industry. In 2016, luxury travel guide opens an extensive nomination category such as best view, best for families, best for wedding, and many others.